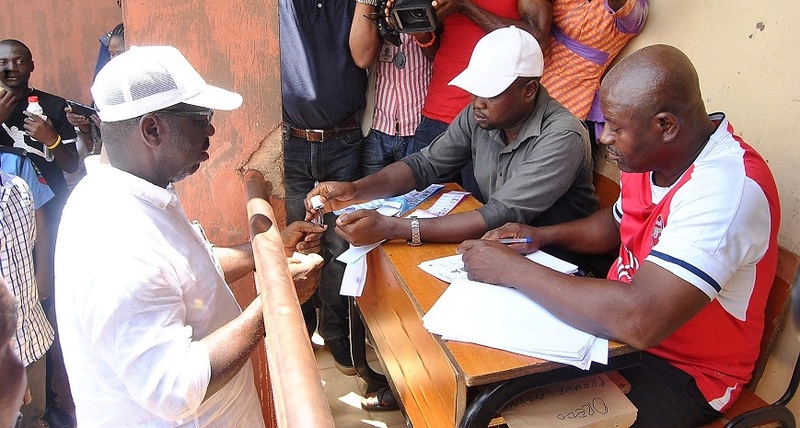 The 2018 local government elections kicked off in several polling units across Edo State on a good footing, with high turnout of voters who were seen casting their ballots to elect new helmsmen at the councils. With the restriction of movement between 7am and 3pm announced yesterday by the state government to ease the voting process across the state, voters were afforded ample opportunity to exercise their franchise. 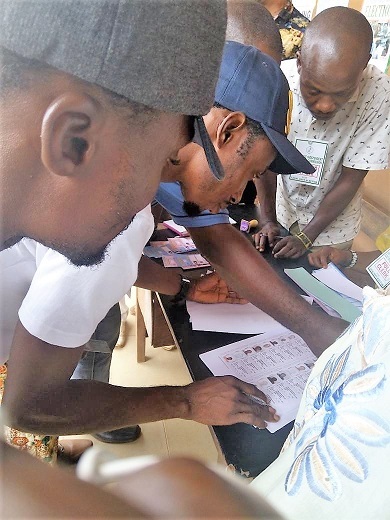 Checks at polling units across the three Senatorial districts in the state revealed that contrary to insinuations that there was going to be voter apathy due to boycott by some opposition parties, the polls recorded large turnout of voters. Governor of Edo State, Mr Godwin Obaseki, cast his vote at Emokpae Primary School Mission at 12:30pm, amid cheers from a mammoth crowd that had gathered at the polling unit. He assured the people that the elections will be free and fair, as all parties are presented equal shots at the elective offices. “The All Progressives Congress (APC) is certain of victory. And I appreciate the huge turnout for the polls. This shows that the electorates are truly committed to seeing the ‘wake and see’ phenomenon repeated at local council level,” he said. After casting his ballot, the governor toured some voting centers, including Oluha Primary School in Uselu area of Benin, Ologbosere Primary School in Ugbekun area and St Maria Goretti Secondary School to monitor the conduct of the elections. Speaking to journalists on his impression of the LG polls, Obaseki said he was satisfied with the turn out of voters, the high sense of organisation displayed by them and the fact that there were no major incidents at the voting centers. “I commend the electorates for coming out en-mass to cast their votes for their preferred candidates and I also commend the people for abiding by the restriction on movements,” he said. Asked if the nonparticipation of the Peoples Democratic Party (PDP) affected the turn out of voters, the governor noted that to the contrary, “the large turnout of voters across the state shows that Edo people and residents are in support of this election” and assured that his party, the APC will coast to glory in all the 18LGAs of the state. It was gathered that electoral materials were dispersed first to communities in far-flung parts of the state before those close to the city center got the materials, to ensure that the voting process was synchronised. As at 9am, voting had commenced in Ugbekun Primary School in Ikpoba Okha Local Government Area, as it was observed that accreditation and voting took place simultaneously. One of the voters, who doesn’t want her name in print, said that the process has been peaceful and that the materials arrived early at the polling unit. She commended the Edo State Independent Electoral Commission (EDSIEC) for the seamless coordination of the process. “I just cast my vote and it was quite seamless. This is quite commendable. EDSIEC did a good job with easing up the voting process by allowing for simultaneous accreditation and voting. “The roads are clear, as everyone is gearing to vote. We are the early birds here now. More people are coming in to participate in the pools,” she said. At Okpokhumi Primary School, Ward 2, Owan East Local Government, voting materials arrived at about 10am, after which accreditation of voters commenced. Security operatives on ground to ensure law and order, were also seen at the ward. Electoral observers were also present, as voters trooped in steadily. “This is quite seamless, I must confess. The conduct of the officials since the arrival of the electoral materials shows that we are in for a serious business. You can see that people are still trooping in to cast their votes.,” one of them said.